Hey, all! ^_^ So partially out of my own want to do so and partially as a request from [iconname]denil380[/iconname], I have done a Klonic picture! :) Behold! XD I decided that, since it's Christmastime, I should do a Christmas-themed drawing, and I was already planning on drawing the two of them kissing, so I figured, why not put some mistletoe there? Thus this drawing was born! Man, this is way better than the last time I hand-drew people kissing. Last time, it was my horrid, horrid Unexpected Attraction drawing from way back when. Anyway, I have a li'l story to go along with this! So, in some weird AU where Sonic and Klonoa are in the same universe, Tails is hosting a Christmas party and invites everyone, including Sonic and Klonoa, who are already boyfriends. 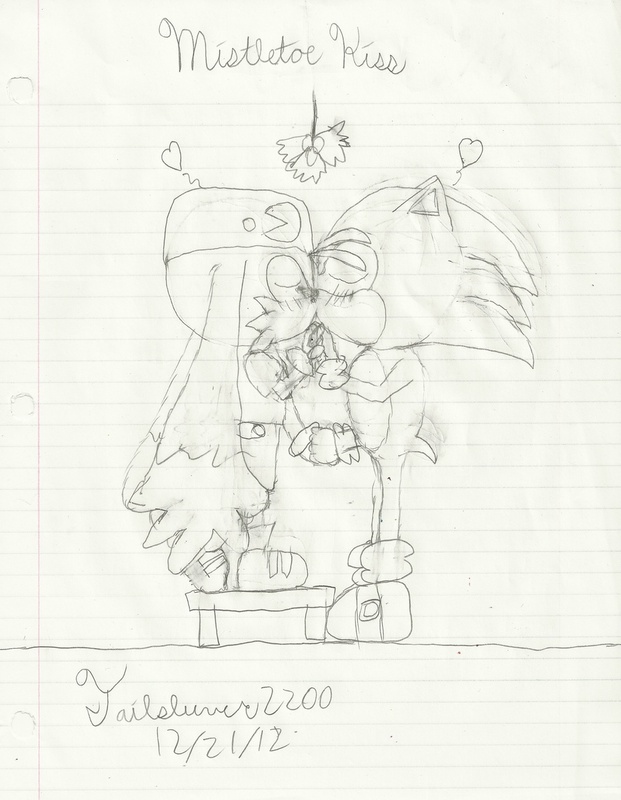 The two of them walk in the house, and as they continue to make their way to the kitchen, where the food is, Sonic notices some mistletoe above them. He points up, and Klonoa looks at it, soon getting the idea, but he knows Sonic would have to lean down to kiss him, so he tells him to wait a minute before he runs off to grab something. In a few seconds, he appears again with a small stool before setting it down and climbing up there, and then without warning, he kisses his blue boyfriend right on the lips.